Probably not a good idea for those with ADD. The Color Cube basically allows users to create their own specific color combination instead of the usual text based password. As a concept it’s brilliant, but it looks like it takes a bit more time and effort, compared to just typing text in. Also, the slow witted among us will be far too easily distracted. Those people have already forgotten everything they’ve just read up to this point. 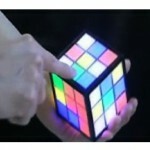 The idea is that when you need to verify your identity, just solve the Rubik’s Cube. They say that the color combinations are endless since you can even embed little pictures within each tiny screen if you like. 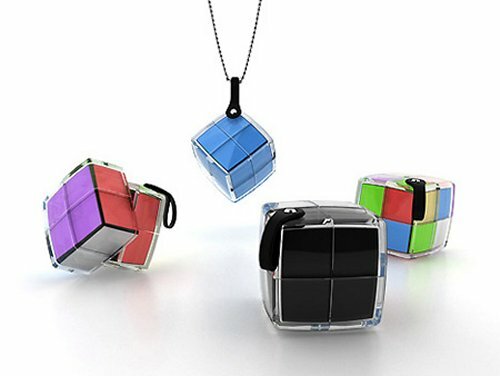 Users also have the option of taking the idea further by making it a time based entry and being forced to solve the cube before time runs out and the colors change. Great idea. I just don’t see it catching on in this form. seems useless, if you are carrying around a little rubiks cube of screens wouldnt it be cheaper to carry around a fingerprint scanner?